The iconic outlet offers a brand new contemporary look that includes a bakery and a larger seating capacity. 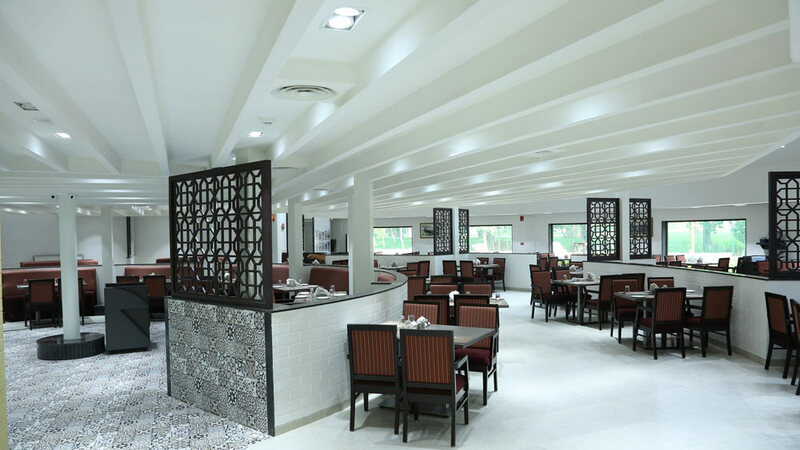 Paradise, the 64-year-old legacy brand synonymous with Hyderabadi Biryani, has re-opened its outlet at NTR Gardens. The outlet was closed for the past few months for redesign and renovation to make one’s dining experience more enjoyable than ever before. Strategically located next to Prasad’s IMAX, Paradise at NTR Gardens holds its own among the many buildings that adorn the periphery of the Hussain Sagar Lake. The place is perfect for a relaxed afternoon lunch or an elaborate dinner. Guests can combine a movie outing at Prasad’s or a picnic by the lake with a hearty meal at one of Hyderabad’s most loved restaurants. "We are delighted to re-launch the Paradise outlet at NTR Gardens as it is connected to some of the city's greatest landmarks. With the extensive renovation, we have managed to improve the overall look (interiors and exteriors) and are proud to present a splendid, new Paradise Restaurant. Our customers too have always had an emotional bond with this restaurant, and we are confident that we will have a successful second innings at this location,” shares Gautam Gupta, CEO, Paradise. A sprawling ground floor and a mezzanine floor is well-planned to serve diners that are small (2 seater) to large groups (20 people at a single table). With opulent interiors and skilfully designed free spaces, it recreates the grandeur of the past with a modern style. An open kitchen helps diners to witness their dishes getting prepared by highly trained Chefs. The remodelling largely involves the use of natural lighting through adoption of large transparent windows that allows flow of sunlight while also providing a serene view of the manicured garden. Heritage tiles have been used to bring in the old-world charm and heritage. The outlet also houses a full-fledged bakery that will serve many a bakery product plus the much loved Irani Chai. A spacious takeaway helps guests take home their preferred dishes including the famed Biryani to their friends and families. Following the tradition of a uniform menu across all Paradise outlets, this outlet will continue to serve dishes that are available across all other outlets of Paradise. The best of Biryanis, Kebabs and Vegetarian dishes adorn the large menu. Customers can opt for Dine-in or Takeaways and can also order through their delivery partner – Swiggy.